Today we have an interesting report about Yo-Kai Watch World, a game that is similar to Pokemon GO but with Yo-Kai Watch characters. 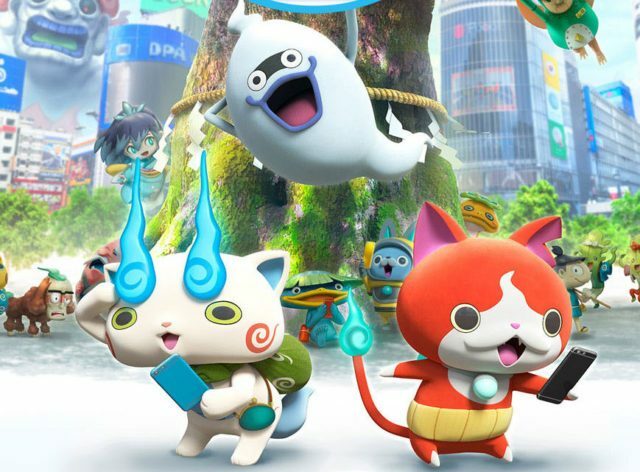 Earlier this year, Yo-Kai Watch World, developed by Gung-Ho Online Entertainment under the supervision of Level-5, was released as a free application for smartphones in Japan. The game has just hit 2 million players in Japan. While it’s very unlikely for us to see Yo-Kai Watch World make its way out of Japan, the app is starting to pose a very serious threat to Pokemon GO, the world’s first AR and real world smartphone game. Zaikei reports Yo-Kai Watch World has “abruptly” become the No. 1 top free app on Android’s Google Play storefront in Japan. On the streets and at public parks, it’s now common to see people playing Yo-Kai Watch World, rather than Pokemon GO. Zaikei believes these are signs Yo-Kai Watch World is on its way of dethroning Pokemon GO.